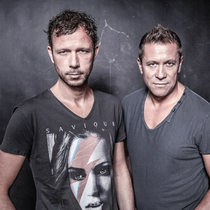 Armada Music recently announced the signing of German duo Cosmic Gate. The project of producer/DJ duo Claus Terhoeven and Stefan Bossems, is ready to take its next step: the launch of their own official label, Wake Your Mind Records. The first release, Cosmic Gate’s ‘So Get Up’, calls in a new era for the duo. Working together since 1998, Cosmic Gate have been involved with dance music for more than a decade, from their early works of ‘Exploration Of Space’ and ‘Fire Wire’ to today’s tracks ‘Analog Feel’ and ‘Be Your Sound’. Last year, they released their fifth artist album, ‘Wake Your Mind’ and toured the globe, playing over 140 shows as part of the album tour, including their Wake Your Mind In Concert events. This year, they’ve got other plans with the ‘Wake Your Mind’ title. Cosmic Gate: "We are super excited to start our own label. We’ve known Armin and the Armada crew for many years already, and now it's time for our first big collaboration. So get up for Wake Your Mind Records!" Cosmic Gate’s ‘So Get Up’ single, recently premiered on Armin van Buuren’s A State of Trance radio show and is set for release on Wake Your Mind Records on the 23rd of September.